What is EFI System Partition? The EFI System Partition (ESP) is a type of partition on a Windows computer that creates several regions on the PC’s hard disk so that information stored on the different partitions can be managed separately by the Windows operating system. The EFI is most used by systems that adhere to the Unified Extensive Firmware Interface (UEFI). The UEFI firmware works during the process of booting a computer to load files stored on the ESP in order to start installed operating system and system utilities. It’s the function of the boot loaders to ensure that all the necessary files and utilities have been booted before the completion of the booting sequence. The ESP ensures that all errors encountered during system booting phase are resolved. It does this by working with the boot loader to offer users good experiences during system startup. EFI system partition is very important in booting the installed OS and system utilities of the hard disk. However, if you’re using a hard disk with EFI system partitions created for the macOS, and you now want to install Windows to replace macOS, then you need to delete the old EFI system partition and create a new one for Windows. Step 1. First, you need to identify the disk where the EFI partition is located. Open Disk Management by pressing “Windows key + R”. Type “diskmgmt.msc” and press “Enter”. In Disk Management, locate the EFI system partition, and close the disk management. Open the elevated command prompt by right-clicking on the “Start” menu. From the pop-up menu, choose “Command Prompt (Admin)”. Give each of the following commands and click “Enter”. Once the cleaning process is complete, you’ll get a notification saying: “DiskPart succeeded in cleaning the disk”. Click “exit” to close the DiskPart tool, and then close the command window. Step 1. Boot your PC with Windows installation media. Then, press “Shift + f10” on the first screen to launch the Command Prompt. bcdboot X:/windows (Replace “X” with the Volume letter of the Windows OS partition). Step 3. Now, you can remove the Windows installation media and restart your PC. iMyFone AnyRecover is the right tool for recovering data lost in your Windows or Mac PC during EFI system partition. 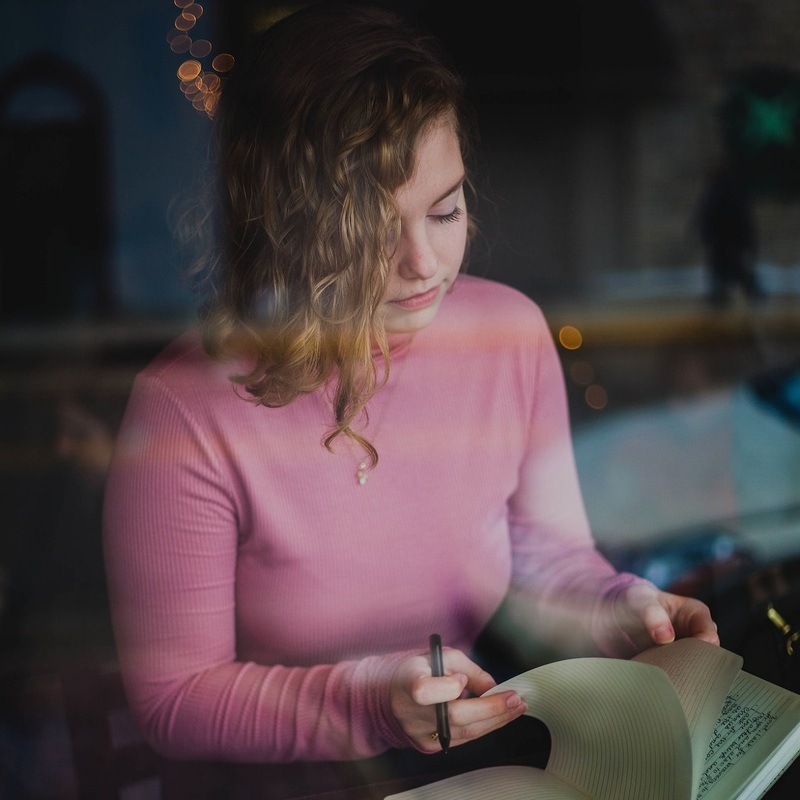 This tool can be of immeasurable assistance in helping you recover files from internal and external hard drives, removable USB flash drives, smartphones, media device players, camcorders, memory cards, and digital cameras. AnyRecover can recover lost file and mistakenly deleted data from Windows and macOS computers. 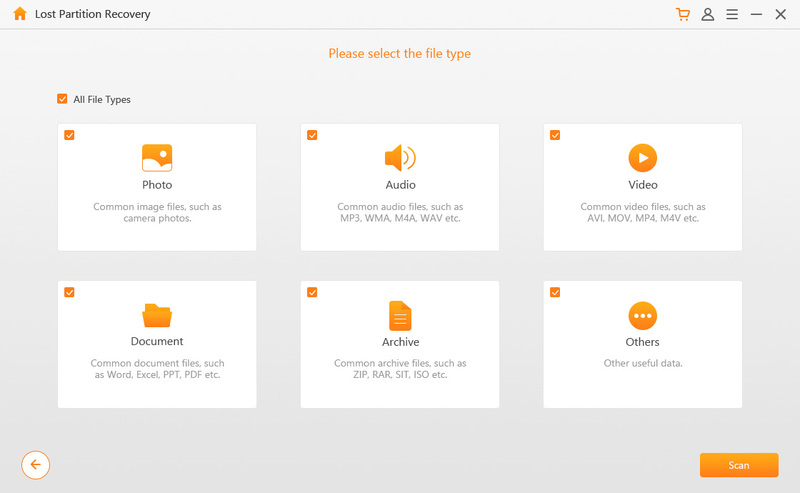 Recover almost all kinds of file types such as audios files, photos&videos, PDF/Word/Excel file, email, etc. With the recovery rate of 98%, AnyRecover is highly recommended by users. User friendliness, easy to use, and no expert skills needed. Preview and selectively recover lost, formatted or deleted data. 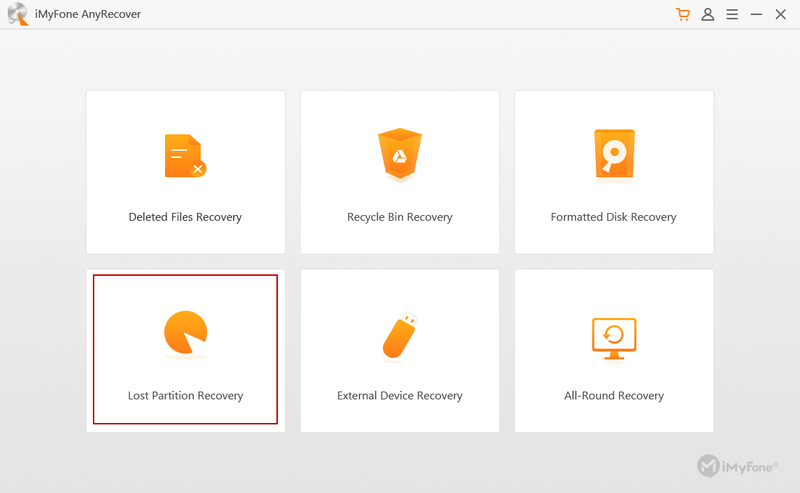 Recover data from lost EFI system partitions; recycle bin, formatted disk, external flash drives, etc. Step 1. 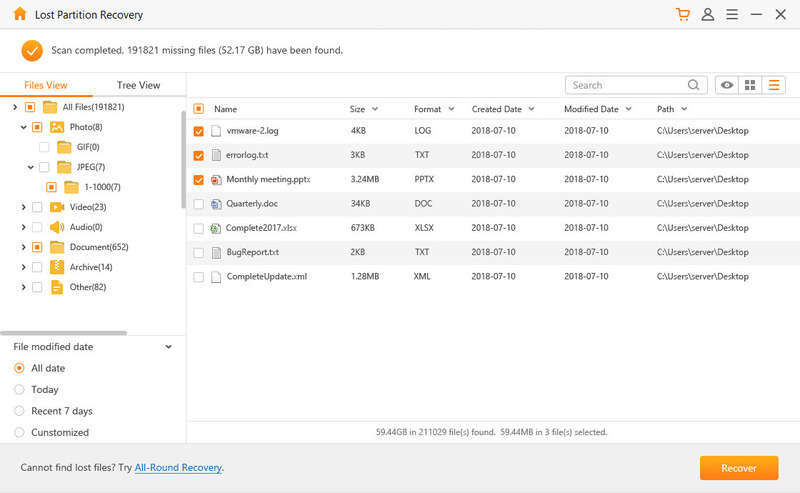 Open AnyRecover on your Windows PC, and then select “Lost Partition Recovery” mode. Step 2. Select the partition that you have lost data, and click “Next”. Step 3. Choose the file type and then click on “Scan”. Step 4. Preview the files, select the ones to recover, click the “Recover” button, and then select the target location to save the files.